As I am writing this entry, it had been almost a week since my trip to Taiwan. No, I did not went there on a touring spree but climb a mountain. Whenever someone would ask me in Manila what was my Itinenary on tourist spots and I would say I will go there to climb, they would reply on a blank face, maybe thinking what the hell is wrong with this person. But as a climber for so many years this trip makes perfect sense. 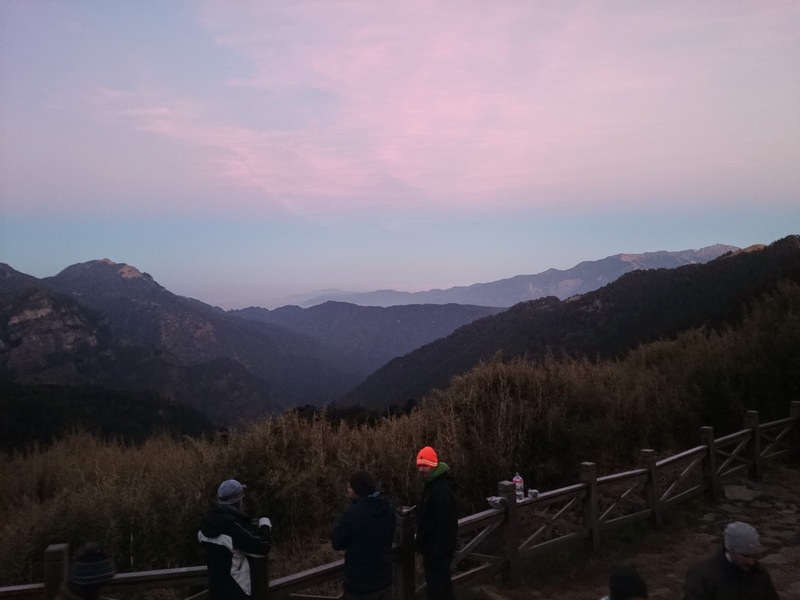 I had been wanting to climb Xueshan (Snow Mountain) in Taiwan for quite sometime then. Basically for three reasons 1.) to go above 3000 meters above sea level (masl) since the highest mountain I had climb was way below the height of Xueshan (Mt. Apo) 2.) To experience hiking in snow in multi day trips. 3.) To experience international hiking. So yes I went to Taiwan alone. A few days before my flight I am having snakes on my stomach (butterflies is an understatement). It my first time to go to Taiwan, a country which hardly speak english. It did not help that the cheapest flight I could get leaves at 1 hour before midnight, and was delayed for 2 hours! After arriving at Taoyuan International airport, the Bus ticket counter was already closed. Being on a budget, I don't want to shell 1000NTD to bring me from Taoyuan to Taipe. I was ready to sleep at the airport when luckily fellow Filipinos relying on the bus was also stranded. So what we did was to share a taxi. The hostel were I stayed was a couple of meters away from the Taipei main station. It took me a while finding the address given that it was my first time to step into this city and it was 4oclock in the morning. I hurriedly went to bed since there was I few places I need to visit before I hike (to be detailed on another entry). 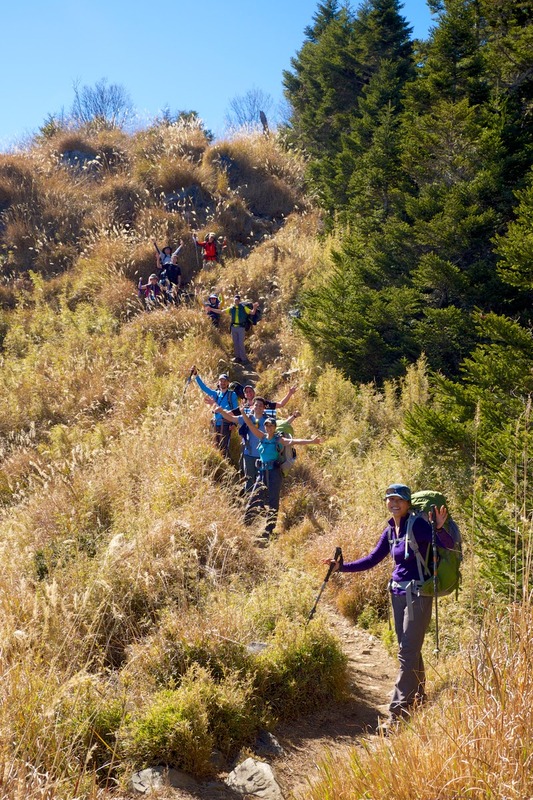 Though I am travelling alone from the Philippines, I was not alone on the climb. 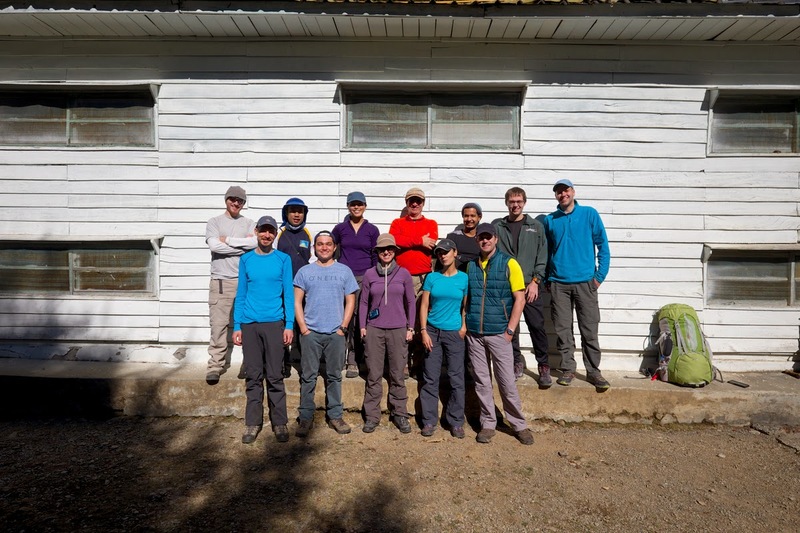 I am joining a group of other climbers who was being led by an outfitter. Our meet-up place was at a Taipei MRT station. As I assesed my team mates I was thinking If I made the right decision on doing this kind of set-up. All of them look pretty strong and most are taller than me, even the ladies. Their bags was huge, all looks considerably fit (one girl was doing a leg split stretching on a wall, scary). I was hoping I could measure up to their abilities. From Taipei it was a 2-3 hour ride to Sheipa National Park which is the trail head. We arrived at the place almost midnight. 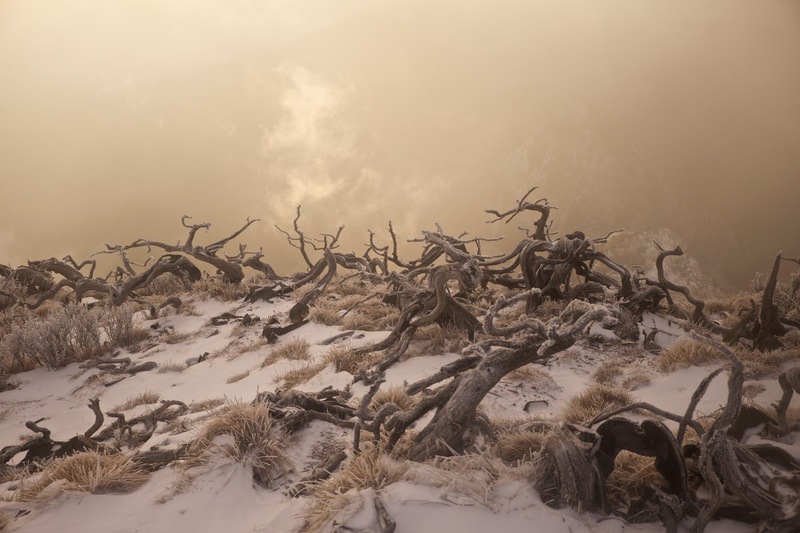 It was already very cold, at the height of 2200masl. The digital thermometer registered minus one. After the guides handed us some of our technical equipments and last minute instructions, we started the trek. We drop by the ranger station to give our permits, like in Mt. Pulag a video was shown to us regarding the mountain. The trail was pretty straight forward but already steep. After an hour of hiking, we reach Qika cabin. The cabin is very basic in term of ameneties. Running water, bunk beds, nasty toilets and a small kitchen but no equipment. 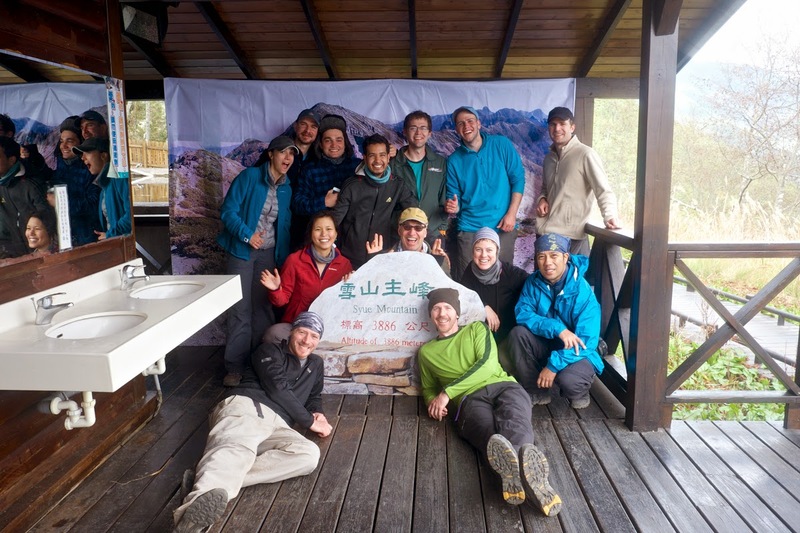 The main purpose of staying on this lodge I believe was to acclimatize, since the hour spent on hiking can be adjoined to the next day hike. It was very cold, I remember waking up several times inside my thick sleeping bag. Group shot - Clockwise from top (Ross - Scotland, Me-Philippines, Regina - USA, Joe, USA, Avik - India, Brian - USA, Ian- Canada, Marcus - Germany, Jennifer, Larisa - Australia, Diego - Mexico, Dimitry - Belarus). The next day after some early tutorial on how to use snow crampons, we continue with our trek. You may consider the trail almost the same the Mt. Pulag via akiki trail but is more established. 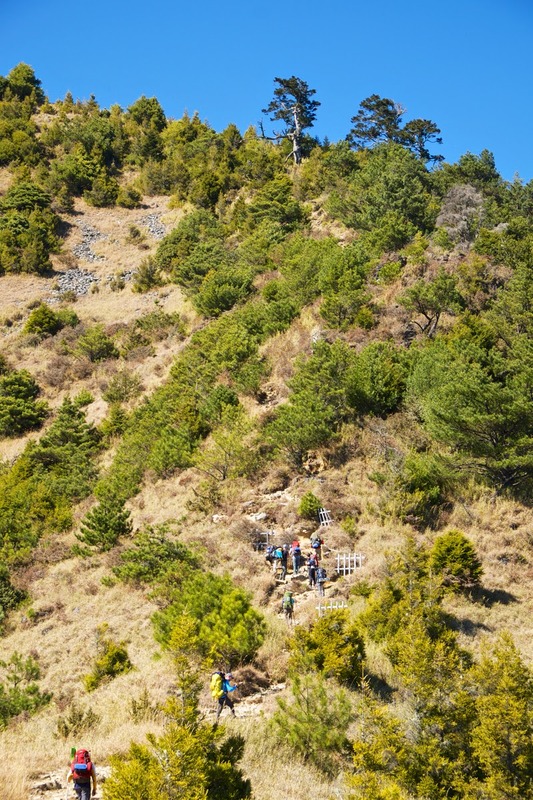 The trail is well maintained and there are markers almost every hundred meters to assist the hikers. Abundant pine trees, steep ascents and ridges consist of the trails. One prominents stop is what is called "the crying slope" a very steep part of the trail that I guess is about half kilometer long. After a few more hours of hiking we reached the east peak of the mountain. Here we had a first glimpse of the actual peak. The "Holy Ridge" can also be seen. The 369 cabin where we stayed on the second night was also visible on this viewpoint. As we reach past 3000 masl, altitude mountain sickness (ams) hit me. I had a mild dizziness and headache. Probably its because it my first time to reach this height, or maybe we were hiking too fast. As the altitude gets higher the air gets thinner. Making it more difficult to breath, and due to this it seems the bags gets heavier. Nearing the cabin, I had a glimpse of frost and snow, I was then able to confirm there will be snow on our final day. The 369 cabin is almost similar to Qika, except that there is more table on the lawn. This cabin is carve in the mountain so just staying here, the view was already mesmerizing. I did not felt that cold in this place, I think its because the 120 beds are all occupied. I hate cramp space, but during that time it was very okay. Yes, it almost made me cry! But a guide has another story, He said that when winds hit this area, it makes a sound similar to crying. The Holy Ridge can seen. The ridge is hikeable, but 5 days on a heavy bag. On the final day of of our climb, we woke up very early so that we may be able to catch the sunrise at the peak. As we were walking on the early part the of the trail, it was snowing. Contrary to the previous day it was very gloomy. The stars we saw last night were now nowhere to be found. The trails are still very established and composed of switchbacks. As we go higher the snow on the ground becomes thicker and the falling snow becomes was more frequent. As we enter Black Forest the ground becomes fully covered with snow, the large rocks on the trail were almost hidden. There are parts which were also covered with ice, that one from our team slipped. "Catch him, catch him" yelled our guide, else he might have fallen into a ravine. On the middle of our trek the guides informed us that it was time to wear our crampons since the snow was now very thick. As we moved out of the forest the falling snow was already a storm. Blowing hard and giving intense cold, there are times I need to hid my face to prevent cold wind from hitting it. The trail was now more steep but still composed of several switchback. As cold, pain on the legs and hard breathing was all over me. It made me think for a while "Why am I doing these? Is it really worth doing this hardship"? But as we were almost to the top, dawn starts to make the entire place more clear. Clouds are passing and covering the summit. We had a good view of the whole place. Sunrise was there! I had the great feeling that everything was all wort it. I have reached the 2nd highest point in Taiwan and considered the most beautiful hike in this country. We took pictures, congratulated each one for a feat not easy to do. It was really difficult breathing on this altitude. I think the oxygen level at the summit is 40% less than on sea level. After a few minutes we decided to go down. The black forest was very very amazing on daylight. Large trees, snow covered rocks, icycle on streams, deer tracks. These were some of the great views that can be seen. After resting for a while on 369 cabin, we continued our decent to the trailhead. Then it drizzled. Just great! Its a four season hike - sun, snow, rain, trek at night, what else can you asked for! 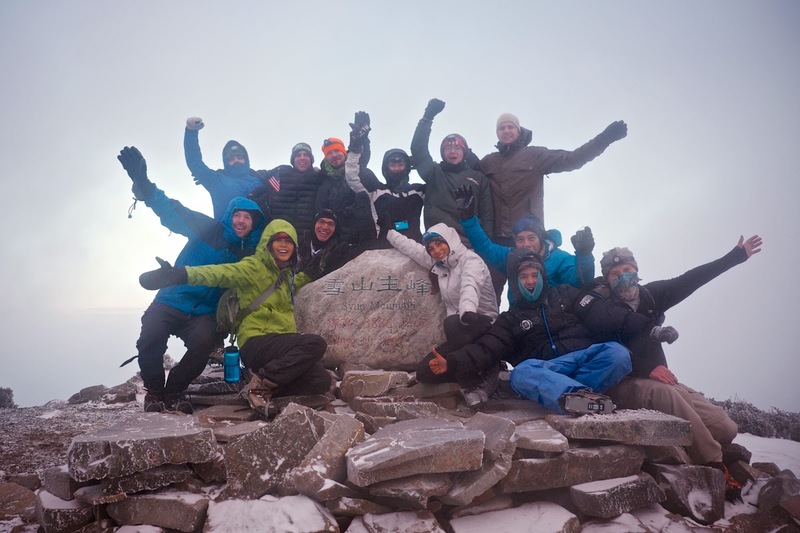 We made it again to the summit, on less effort and clear skies! Get a guide - Unless you live in Taiwan and is very familiar with the place and the language. I suggest you get a guide. There are two main issues for tourist like me, logistics and equipments. Its hard to DIY a trip on a foreign land, and bring all your cooking equipment (and food). Invest on good gears - Buy good and light gears. It will make your life easier, remember as I have said on my blog, the bags gets heavier as the altitude gets higher. Bring a large bag - I brought a 50 liter bag and just for my sleeping bag half of the space is already gone. I compressed all my things, this made me pack everything. But compressing takes time, the result is that I am almost always the last one to pack my things. Use poles - Trekking poles is a must on winter climbs, other than it help you move the weight from your knees, it will help you not to slip on ice. Use the poles before the climb, to ensure you are already comfortable on the actual climb itself. Climb a 2K masl mountain - Try hiking a 2k masl mountain on a long trail to know how your body will react (and get accustom) to high altitudes. Gradual climbing is the key.